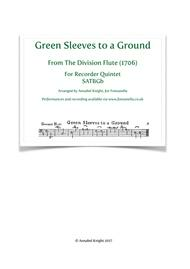 Composed by Anon (from the Division Flute, 1706). Arranged by Annabel Knight. Baroque Period, Renaissance, Early Music. Score, Set of Parts. 30 pages. Published by Annabel Knight (S0.198727). 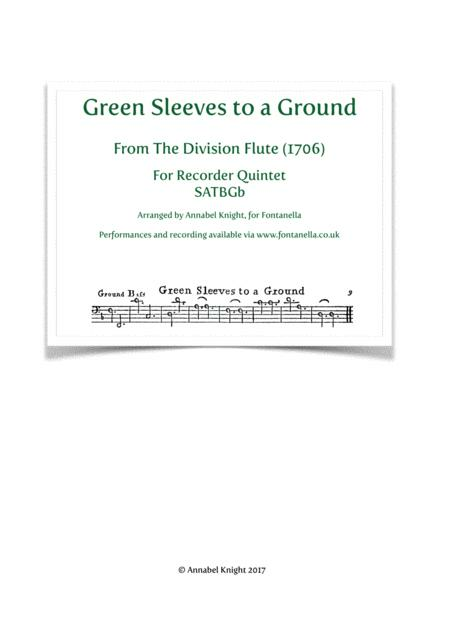 Green Sleeves to a Ground arranged by Annabel Knight. For Recorder Quintet SATBGb.